And we’re back with another retro WrestleMania, this version being the 26th edition from Phoenix, Arizona. Let’s get it started! Isn’t this the biggest field for a Money In The Bank ladder match ever? I’m pretty sure this is the only with 10. It’s clear to me that this was just a reason to get most of the mid-carders an excuse to be on WrestleMania. What makes this even more baffling is that 2010 was also the first year where Money In The Bank would become an exclusive PPV. So even though Swagger won this match, there were two extra MITB ladder matches in the summer of that year. I think that makes 2010 the only year where there was 3 separate Money In The Bank ladder match winners. Anyways, the match was okay, but the amount of competitors kind of hurt the flow of the match for me. With 10 people, there is only so much creativity you can do to feature all 10 prominently. I did like Evan Bourne’s creativity, and Kofi using the ladder parts as stilts is pretty neat. But a lot of the match was kind of sloppy and disjointed. Mainly, some moves were overshot or just not hit cleanly. They all worked hard, but I prefer to have MITB ladder matches with 6 or 7 competitors. At 10, it just kind of starts to get crowded and can lead to more sloppiness. I thought this match worked with a great sense of urgency, although I am kind of miffed that Triple H went over here. 2010 was the last year in which he performed on a full-time basis, and I don’t think there was a good reason for him to be put over Sheamus here. That notwithstanding, this was a good, hard-hitting physical outing which showcased Sheamus’ strengths at the time very greatly. He was opportunistic and was able to match Triple H’s physicality, even though he got the better of him early on in this match. Seriously, this only got just over 6 minutes? The pre-match promo from Punk (I loved these back when he was in Straight Edge Society) and Rey’s entrance were nearly as long. Overall, while I can’t say the match was great because of how short it was, I’d be dammed if I don’t say that this was one hell of an effort. It’s like they tried to cram the entire story within the confines of about 6 or so minutes. I never understood the point of this match and never will. This was nothing more than two old men trying to settle a beef that should have been water under the bridge for a long time. Hell, Breat Hart knocked out Vince in the locker room right after that infamous night in 1997, so didn’t he technically already give Vince his comeuppance? We didn’t need 11 minutes of the entire Hart family and Bret just jumping Vince. That’s something that could have been done on a segment on RAW. What does having a match against him prove? That Hart is better in the ring than Vince? Jericho and Edge can always be counted on for a quality showing, and we definitely got one here. 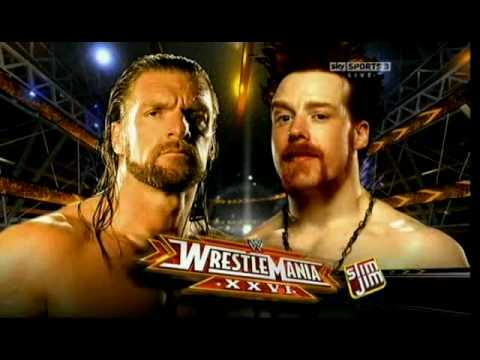 What I loved about this match was how consistent the story-telling was and what both men needed to do in order to win. For Edge, it was connecting with the spear. For Jericho, it was targeting Edge’s achilles. It was all a matter of which plan was going to work out. Edge tried connecting on the spear twice, but Jericho scouted and was able to reverse it into the Walls of Jericho and a Codebreaker each time. Unfortunately, he wasn’t able to capitalize, so then he had to resort to desperate measures by locking in a half-crab. and Edge had to put in all his will-power in order to escape.